KD’s NOLA Treats was happy to participate in Abstract NOLA. Owner KD was out painting some of her yummy Butter Cream Cupcakes in GOLD, using edible paint of course! The 6th Annual Jambalaya Cook Off, Car Show & Craft Fair, given by the Harahan Athletic Association, took place on Saturday, November 4, from 12pm-5pm. 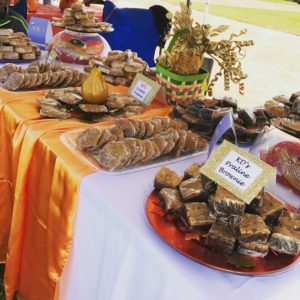 KD’s NOLA Treats was happy to be the Treat Vendor for this event!